Alzheimer's & Dementia Weekly: Old Doctors, Old Drugs? 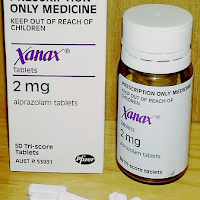 Valium, Ativan, Klonopin, Xanax and other benzodiazepines are dementia risks. Approved in the 1960s, doctors still prescribe them. Patients still ask for them, even for ailments with newer, safer, more effective treatments. Get the facts and get better treatment. Researchers and doctors are encouraging patients to review treatment options to improve treatment and reduce risks connected to common benzodiazepines. This class of drug received FDA approval in the 1960s and was believed to be a safer alternative to barbiturates. A growing body of research indicates this practice could greatly increase patients' risk of dementia and Alzheimer's disease, according to Helene Alphonso, DO, Director of Osteopathic Medical Education at North Texas University Health Science Center. It would be helpful to identify the new and more effective drugs.